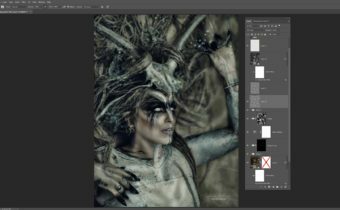 In this Photoshop tutorial, Caroline Julia Moore walks you through the creation of her piece, I Am Strength. See how she uses Blend Modes, Dodge & Burn, and accent points to perfect this surreal image. 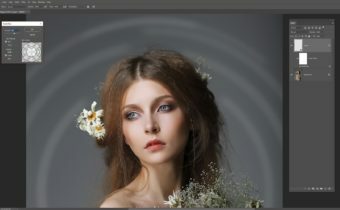 Resources are provided so that you can follow along with this step-by-step guide on your own, and then you can upload your image at the end of this tutorial to share the work you create and see what others have made also. This tutorial contains both a written and video component. There is also a speed edit for you to enjoy. These images were created by Shift Art members, based on I Am Strength by Caroline Julia Moore. Join Shift Art to show your version! Very interesting and complicated effect. I got lost in all the channel selections. Will have to try again. I posted my version. Thank you very much! Great ! I have been waiting for this. New way to use channel masking for me. Very interesting.Tomorrow I try. Wonderful to learn so much new things. I am very grateful! Thanks so much Caroline – I learned a lot! Posting my version soon. WOW! This was great Caroline. Just what I needed to warm up after such a long absence and practice. For sure I learnt a couple of new things. Always love your tutorials. Well that was my first attempt at anything like this. I have Photoshop elements and couldn’t find any color channels anywhere. So I did it my way. Feel good about it though. Well, I tried but I don’t seem to be able to get past step 1 as when I go to the channels tab (which in my version of PS is next to the layers tab) and in Caroline’s words “Open up the Channels menu and deselect everything apart from Green. Select and copy this layer (Ctrl/Command A then C). Paste this onto a new layer (Ctrl/Cmd V)”, nothing happens in the layers panel – I am still left only with the locked background layer. I do have some knowledge with PS, however am quite unfamiliar with using channels. Penny, you have to return to the Layers menu and paste what you copied from the Channels menu to a new layer. This had me stumped too;). Ok, so after a little digging and a typo found by Sheila T., we’ve found the problem. I’ve corrected (Ctrl/Command A then C) to the correct (Ctrl/Command A then Ctrl/Command C). Thanks for your patience Penny, and thanks Sheila for shedding the needed light on this! And of course, thanks to Caroline for creating this incredible tutorial! Mission accomplished…big sigh of relief! When I began this one I had high hopes of doing all 10 challenges. Weellll, my expectations are a bit more realistic now…lol :-). Thanks for the opportunity to participate. It will truly take a lifetime to complete all the tutorials available. Thanks for the great tutorial. 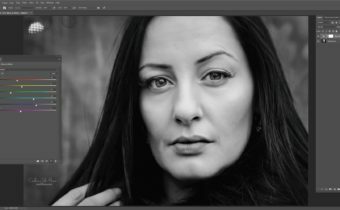 I can’t install LUT’s as I have CS5 version of photoshop so it forced me to be a little more creative to get the color tone close. Love the channels use for replicating hair layers!